In conjunction with US Soccer, ENYYSA will be offering new coaching education courses starting February 1, 2018. 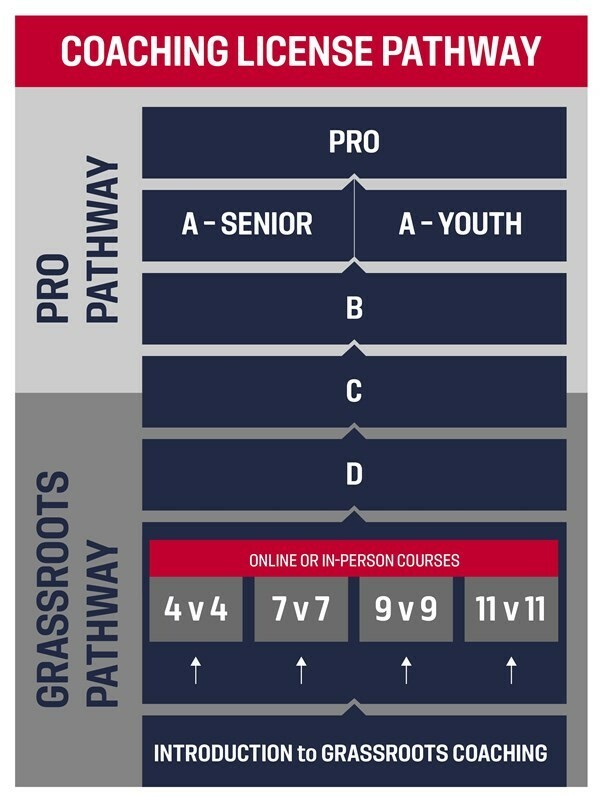 These new courses follow the new US Soccer Grassroots License Pathway. All courses will be 4 hours in duration (2 hours on-field & 2 classroom hours). Courses introduce the play-practice-play model within a reality based environment and reflect the US soccer Player Development Initiatives (PDI). Click HERE to learn more about the Grassroots License Pathway Initiative. The licenses can be taken in any order. The instructor / coach ratio is set at a minimum of 1:12 and as close to a 1:14 maximum as possible.